-The 15th annual Firehouse Barbeque Cookoff, a Kansas City Barbeque Society-sanctioned cooking competition held in the town of Kings Mountain, a little ways west of Gastonia or a little longer ways west of Charlotte depending on how you look at it. Among the 50-plus teams competing: Nekked Pig BBQ Team, Carpet Capital BBQ, Hill Rat Barbecue, B.S. Pitmeisters, Chatham Artillery BBQ, and Sue E Pig. -Midway across the state in Raleigh, the third annual ‘Cuegrass Festival occupies the streets outside The Pit. The event features barbecue, music (not just bluegrass) and local and regional draft beers. The $5 cost of admission benefits North Carolina farmers. 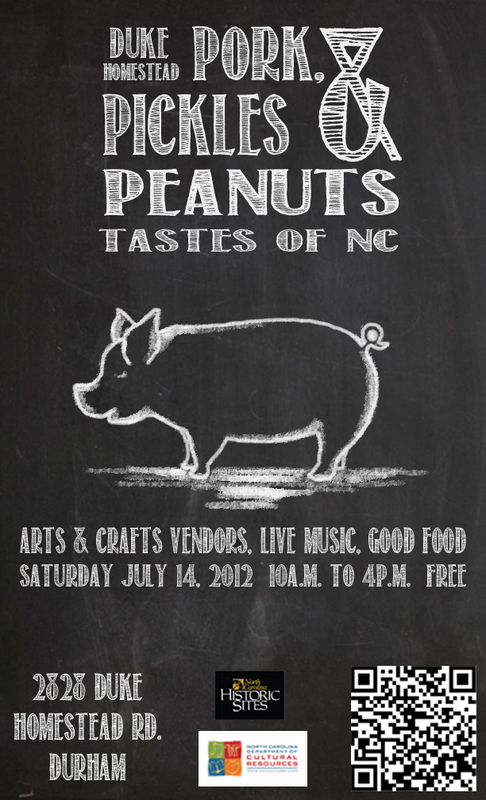 -Finally, down east the 27th annual Pigskin Pig-Out Party takes over Greenville. According to the event website, the event “features East Carolina football, baseball, softball, along with live music, entertainment, barbecue, kids’ games and its famous Pig Cookin’ Contest.” There is also a golf tournament, carnival and more.